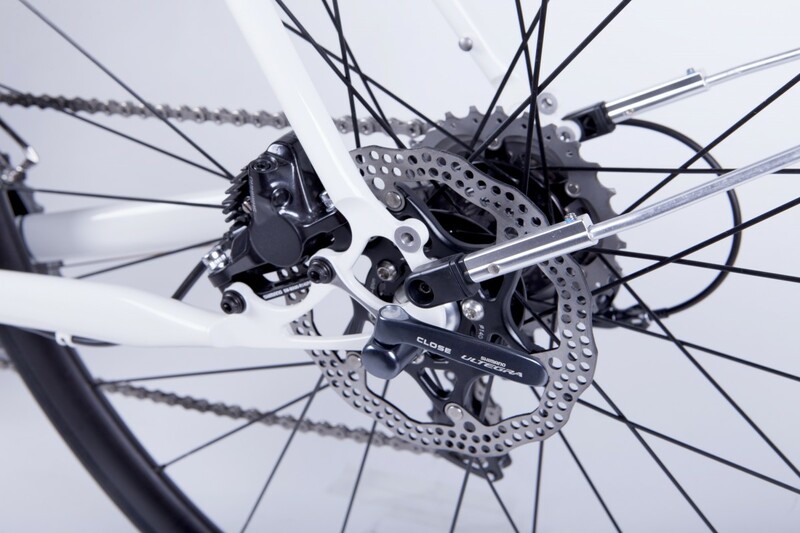 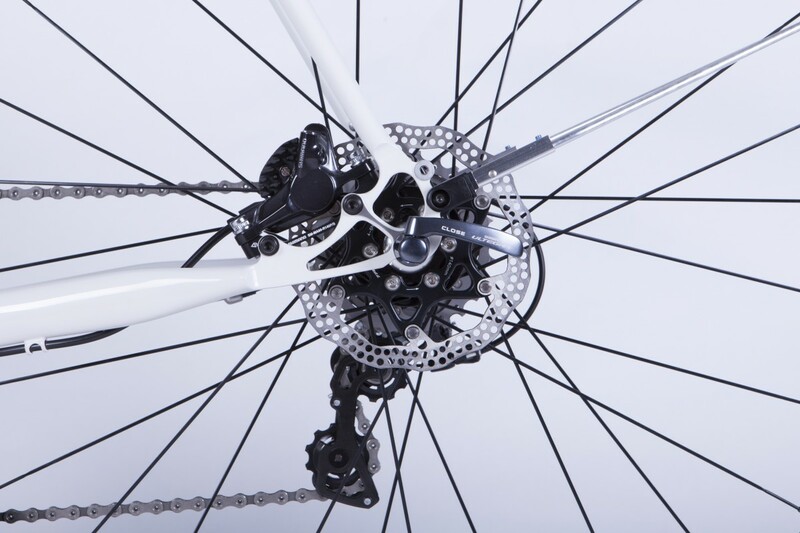 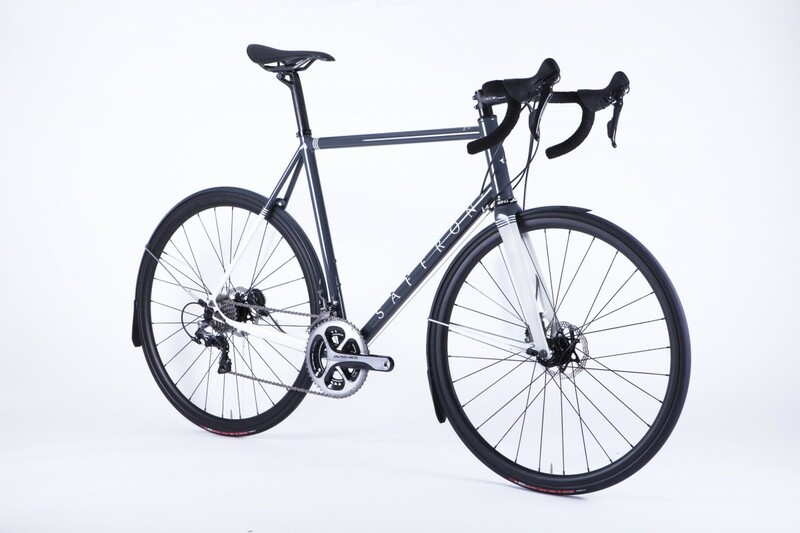 A lot of customers come to us wanting a jack of all trades bike. 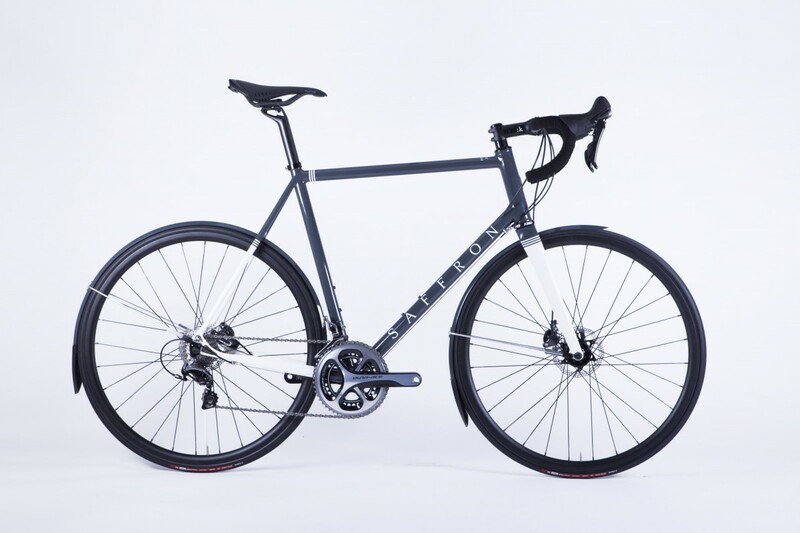 It’s sometimes a hard brief to fill, but a bike to cover all the bases isn’t a new idea. 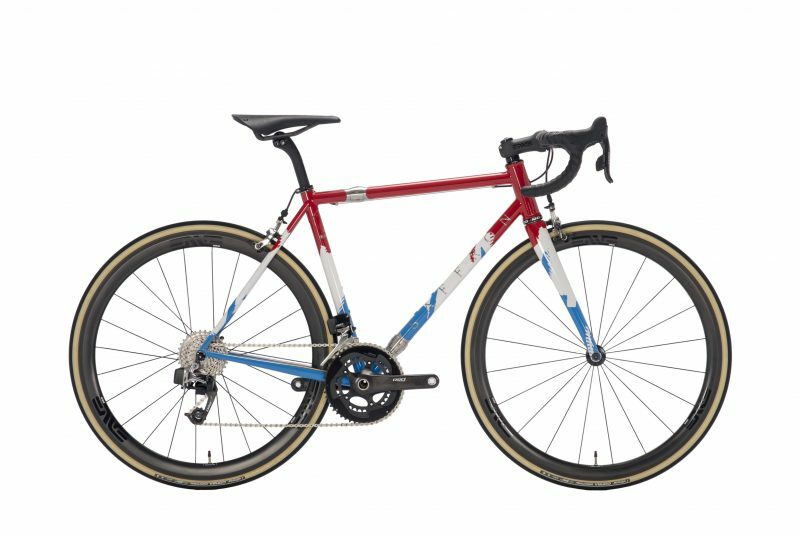 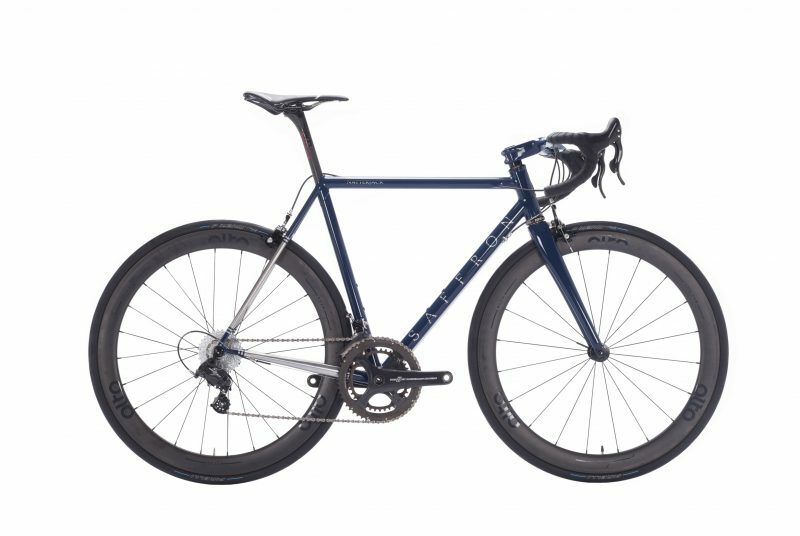 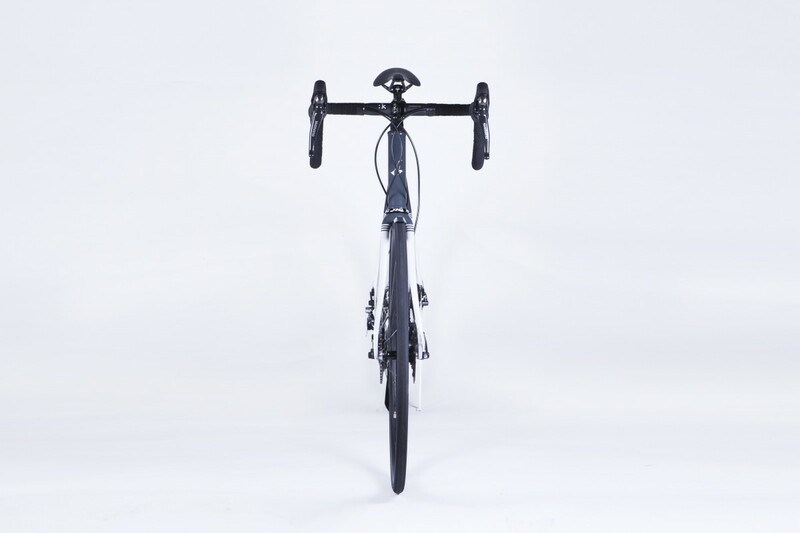 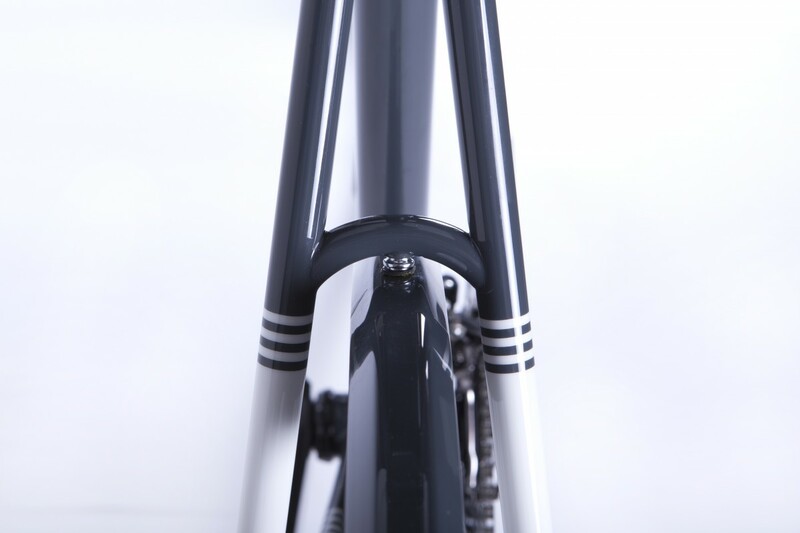 A bike with that little bit more room for larger tyres and guards makes perfect sense for most riders here in the UK, and Thom’s bike was brought up to date with a modern 44mm head tube, carbon fork and disc brakes. 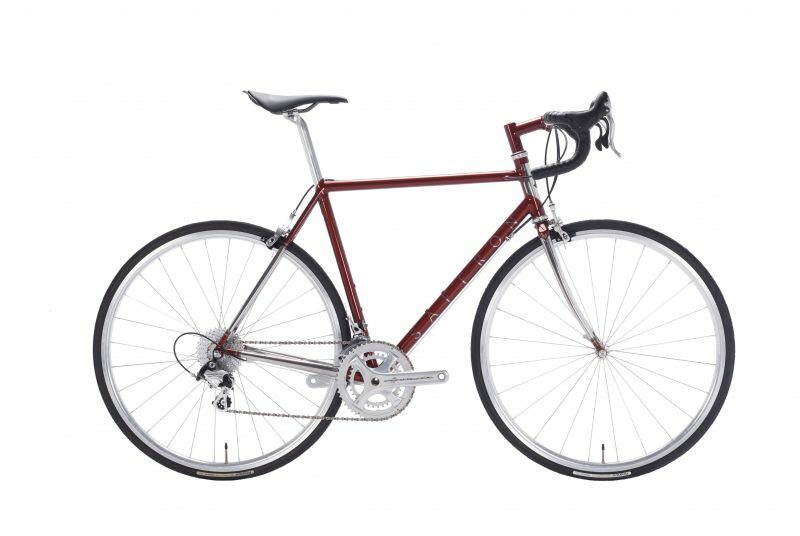 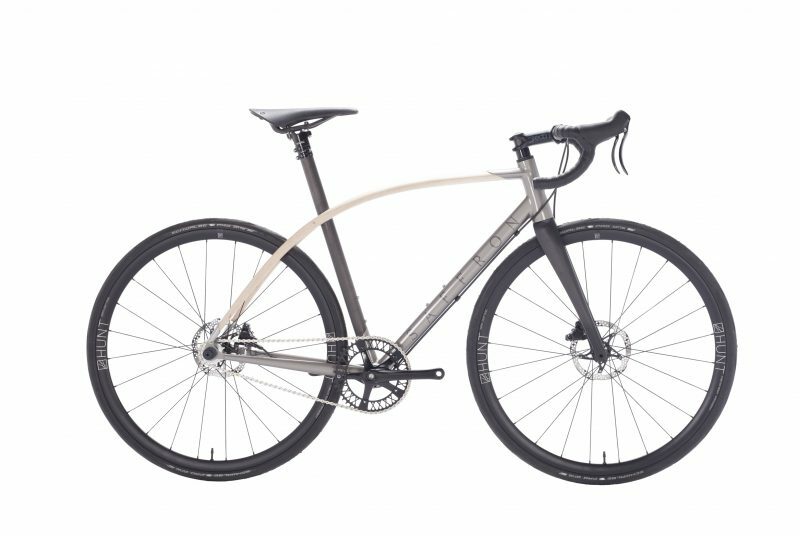 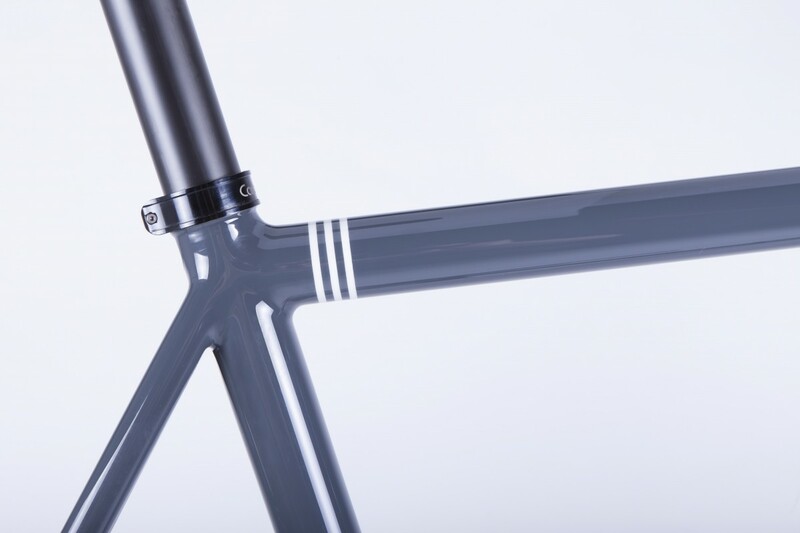 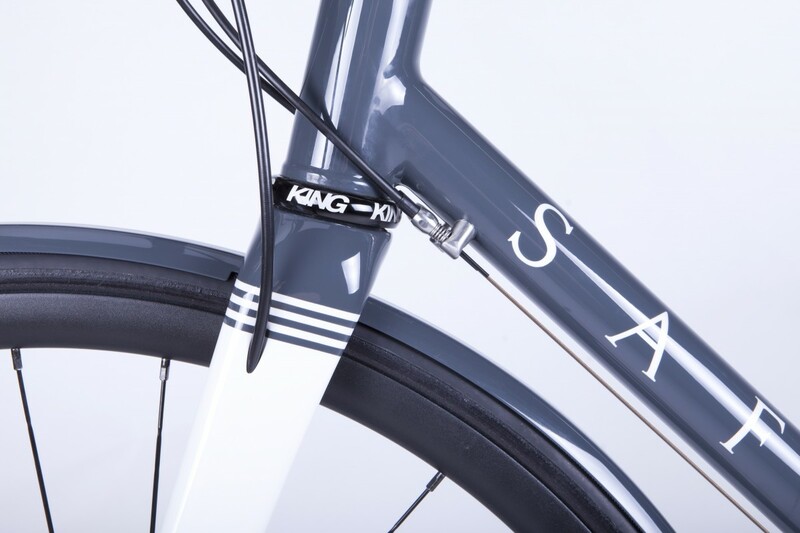 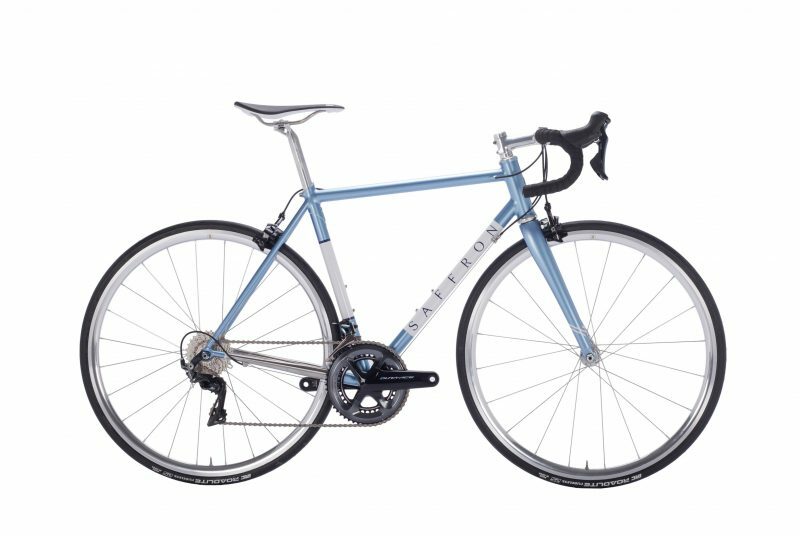 The frame is constructed from Columbus Life tubing in large diameters to provide a stiffer ride even in this larger size. 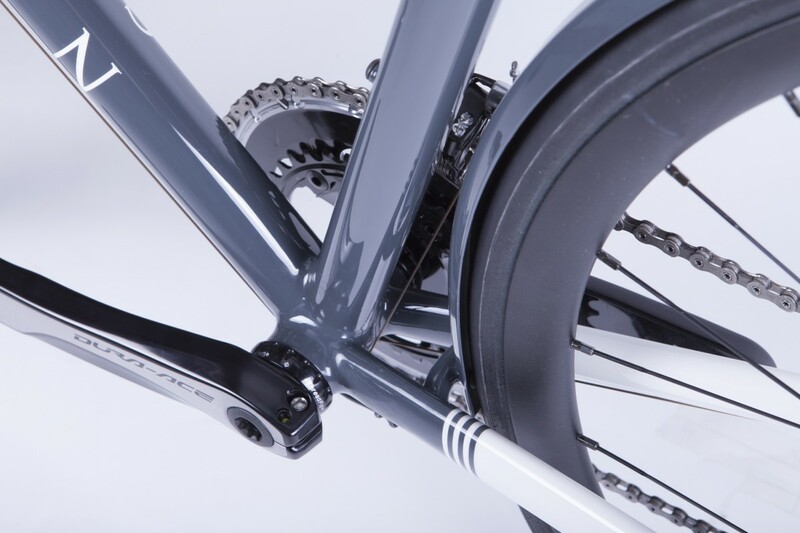 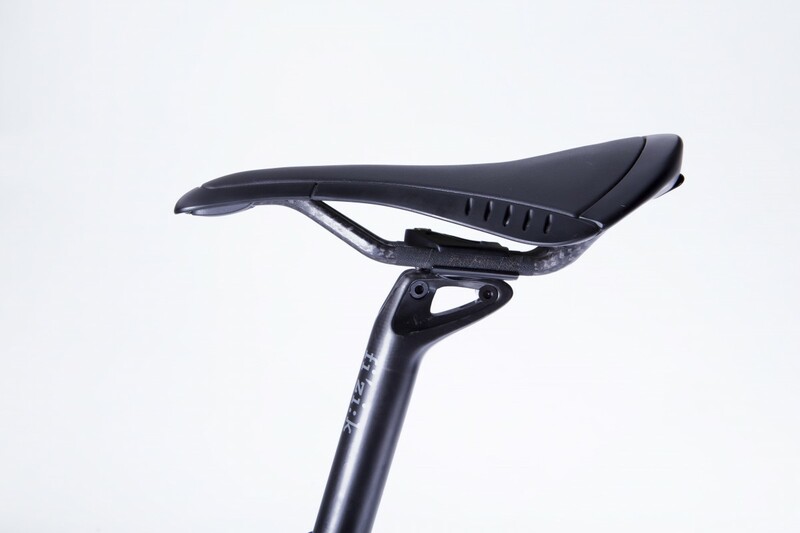 Thom will use the bike to commute, and for long rides at weekends all year round – making mudguards essential. 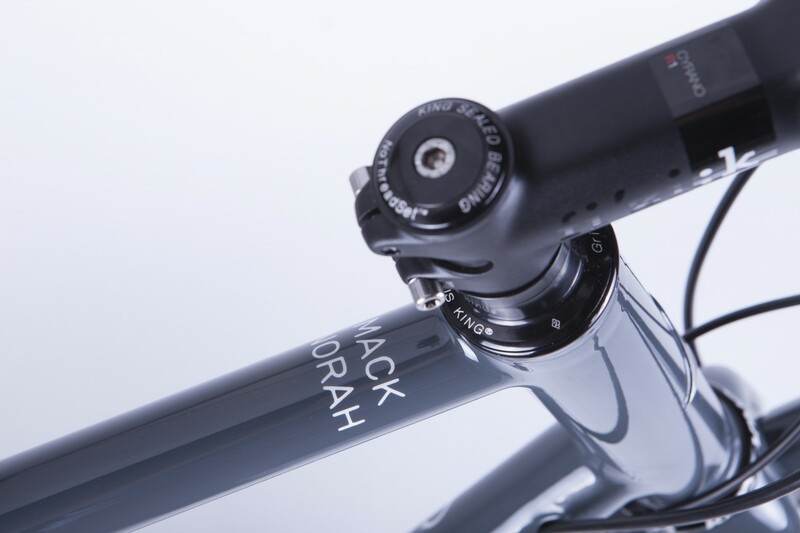 We modified a short axle/crown fork to include subtle threaded bosses for the attachment of the guards yet keeping the front end stiff. 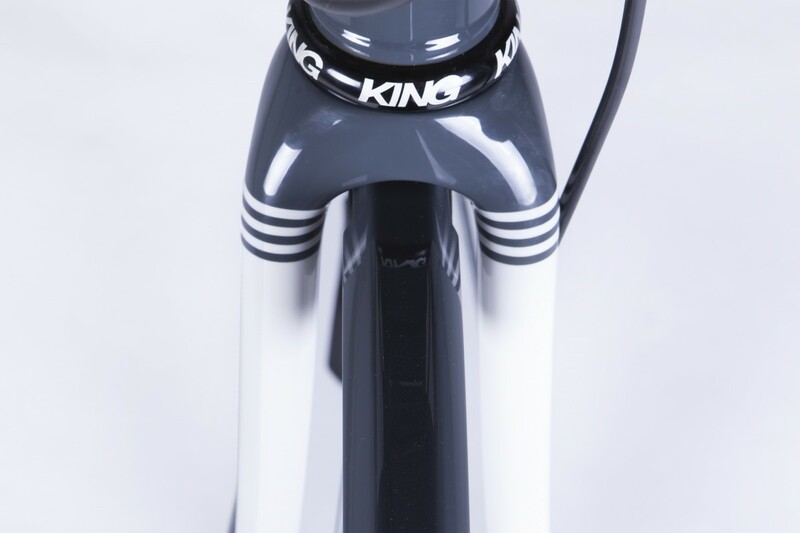 Thom kept the paint clean and designed this modern scheme himself. 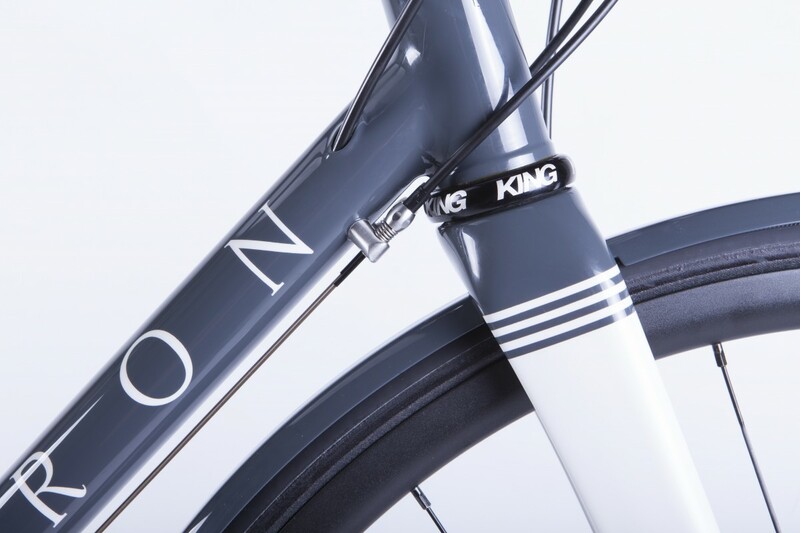 A simple 2 colour with bands at the transition, with the names of his kids on the top tube.